On the 2nd of March, the Anti-Corruption Foundation, a Moscow-based NGO, published on Youtube an investigative documentary called Он вам не Димон – Don’t call him Dimon. The video report accused the Russian Prime-Minister Dmitri Medvedev of being one of the countries’ most corrupt officials and richest people, and of hiding his assets through an elaborate system of charity foundations that are controlled by those close to him. As a response, on the 26th of March, tens of thousands of people took to the streets simultaneously in almost 100 cities across Russia, as government authorities refused to comment on the aforesaid documentary, which has since collected over 16 million views. By contrast, the anti-government rallies were absent in the broadcasts of every main TV channel in Russia. Smaller protests have continued on April 2nd, the second consecutive Sunday. These protests have been described as the biggest demonstrations since the 2011-2013 wave of contestation (the Snow Revolution) that followed Medvedev’s announcement that he would not pursue re-election. On September 24, 2011, the former President declared his support for the eventual successor Vladimir Putin, causing intense contestation, especially amongst the more affluent, urban, internet generation of Russia, who ignited the blogosphere. Starting on December 2011, protests were carried out demanding free elections, a stronger voice in politics, real choices, and the resignation of several government officials, including Putin. 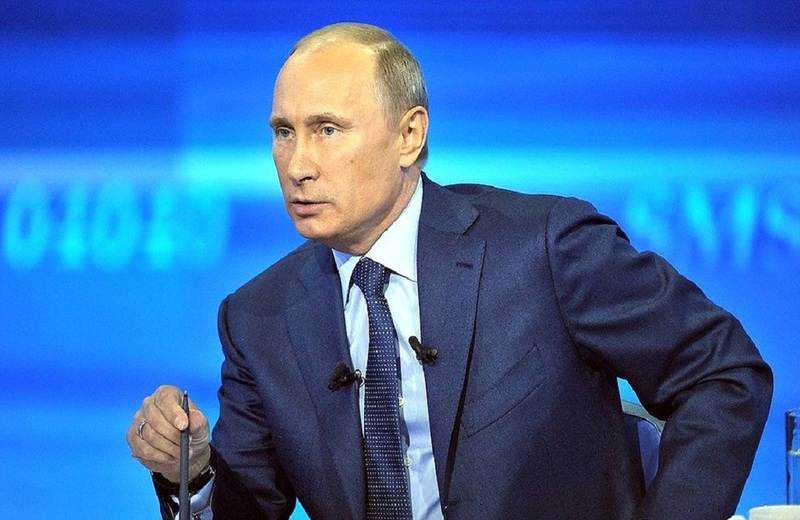 After the 2012 Presidential elections, Putin ordered the implementation of several measures directed towards Russia’s civil society and his opposition, as well as their foreign supporters. Progressively, laws targeting NGO funding, internet freedom, and which deterred public demonstrations, were enacted. The Snow Revolution highlighted the important role played by influential bloggers in mobilizing opposition against the Kremlin. Demonstrations have included an unusually high number of high school and university students which, by means of obtaining most of their information from the internet, evade messages transmitted by the state controlled TV stations, which are Putin’s main propaganda machines. Conversely, numerous investigations into the Russian government’s corruption are readily available online. Among Russia’s youth, internet usage nears the 100%, while TV viewership is at an all-time and ever-increasing low, and channels have decided to focus more and more on the 60+ audience. So far, the Kremlin has struggled to stifle this threat. In spite of his comfortable victory in 2012, Putin lost the majority vote in some urban areas, including Moscow, and efforts to tie the Snow Revolution protests to foreign influences – in particular the United States – was met with ridicule from this educated, metropolitan opposition. The September 26th and April 2nd protests (the latter in dwindling numbers) led to the detention of at least 1666 people, with those who organized the anti-government rallies on social media being put under investigation. Internet hero and main opposition leader Alexei Navalny, the face of the abovementioned documentary, was arrested, and sentenced to 15 days in prison. Four days later, Putin finally reacted to the mass protests, comparing them to the Arab Spring, and the uprisings in Ukraine during the Color Revolutions, and pointing out the chaos and bloodshed they led to. He also accused his opposition of using the fight against corruption “as an instrument for political goals”, a certain reference to Navalny’s ambitions regarding the 2018 Presidential elections, for which he vowed to run. While it is true that Russia has struggled to smother internet activism, and to use more traditional propaganda tools effectively among younger citizens, the Kremlin is not under unsurmountable pressure. First and for most, it is important to remember that Putin boasts approval ratings of over 80%, which might explain why the exposition targeted Dimitri Medvedev, who is seen as weak, and responsible for Russia’s economic stagnation. That said, when comparing the most recent protests to the Snow Revolution wave, some change can be clearly seen, both in geography, demographics, and leadership. While between 2011 and 2013, protests were largely confined to Moscow and St. Petersburg, this time mobilization occurred in Vladivostok in the Far-East, Novosibirsk in the center of Russia, and in the Kaliningrad enclave, for instance. Uprisings also occurred in poor and industrial cities in the imperial heartland of Russia, such as Nizhny Novgorod, Chelyabinsk, and Nizhny Tagil. The participants were younger than during the Snow Revolution, and saw in Alexei Navalny an undisputed leader, whose report shocked them into action. These acts of defiance showed that opposition in Russia is not small, nor confined to the rich, urban areas of its two largest cities. While it would still appear unlikely that the 2018 Presidential elections will constitute a fair competition, the political space of the Russian society has clearly expanded. These recent protests have proved the appeal of a candidate who takes a stand against corruption, and revealed a new generation of internet activists with little to lose, immunity to government propaganda, and eagerness to exercise their civil rights. What remains to be seen is if the government will retaliate strongly, by increasing arrests, and imposing further restrictions on NGOs, activism, and internet freedom – just as it did since the start of the Snow Revolution. ← Where is Latin America going?